$50 administrative fee for all refunds. We do not refund processing fees associated with the cost of attending an academy. Will you have medical staff present? 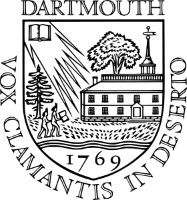 All Pine Hoops Academies at Dartmouth College will have a medical staff present provided by Dartmouth College Athletic Training. What is the NCAA Disclaimer? According to NCAA rules and regulations, all camps and clinics are open to any and all entrants regardless or skill/level (limited only by number, age, grade level, and/or gender).